Financial Planning : John Graham & Associates, Inc.
Our personalized financial planning gets to the heart of what matters to you. Our structured approach to wealth management gives you the attention you deserve. We create strategies tailor-made to reach your financial goal. Everyone has financial goals. 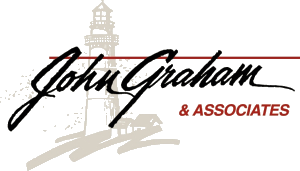 At John Graham & Associates, Inc., we know what it takes to help you achieve them. That is why we created the Wealth Tower Process. We take a disciplined, structured approach to wealth management. This careful, steady formula allows us to give you the personalized planning that you deserve. We have the desire, tools and know-how to get you results. We can provide you with a high level of personalized financial planning services to create strategic plans, tailor-made to reach your individual goals. Contact us at 309-699-6608 or info@midwesternsecurities.com to take the first step toward your financial future today.